Irene Lorraine Shipman, 94 of Eau Claire, WI passed away peacefully Saturday, July 7, 2018 at Dove Heath Care West in Eau Claire. Irene was born February 21, 1924 in Bloomer, WI the daughter of the late Otto and Eunice (Norton) Summerfield on the family farm. She attended the Pleasant Valley one room grade school and Bloomer High School. She worked at the Root Beer stand for 35cents an hour, and later at the Bloomer Farm Store and was paid $12 at week for 40 hours. On January 25, 1945 she married Jerome Shipman at St. Paul’s Lutheran Church in Bloomer, and in 1946 they moved to Eau Claire where they were blessed with three children; Sharon, Larry and William. In 1958 she started working at Wyman’s Super Fair Store on Seymour Rd. later known as Kerm’s where she retired in 1986. 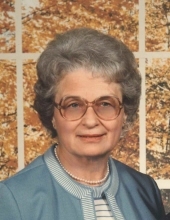 Irene was a member of Our Redeemer Lutheran Church for 50 years. Irene loved going up north to the cabin in Barnes, WI she loved to go fishing and especially enjoyed the 4th of July parade. She loved to cook, her Holiday meals were her specialty, a full plate and presents for all was her Christmas mantra. Irene loved to dance, most of all she loved spending time with her family. Irene is survived by her sons; Larry (Sue) Shipman & Bill Shipman; son in-law Gordon Petschow; grandchildren, Garett (Jen), Sean (Kari), Lance (Audrey), Travis Shipman, Monica (Dathan) Rye, Dan (Angie) Petschow; great grandchildren, Kayla, Bortan, Emily, Cade, Zach, Hailey, Isabell Shipman, Sara Rye; a sister Annabelle Bronstad; Sisters in-law, Donna Summerfield, Ilene Pingel, Georgene Shipman, Marion Shipman; a brother in-law Clyde Shipman. Friends at Country Buffet and her three special neighbor girls. She was preceded in death by Husband of 69 years Jerome; daughter Sharon; daughter in-law Cindy; a brother, Norman Summerfield; sister, Edith Hart; Brothers in-law Bob Hart, Doug Bronstad, Max Shipman, Wayne Pingel; many nieces, nephews, other relatives and friends. Irene wanted to thank her sons, their wives and children; her sister, Annabelle; neighbors, Connie Peterson, John Helwig for all their help and Caring. To Sue Brandl and Mary Girnau for their friendship these past years. Funeral Services will be held at 1 pm on Friday, July 13, 2018 at Our Redeemer Lutheran Church 601 Fall St. Eau Claire WI. Friends may Visit at church from 11 am until the time of service at 1pm. Interment will be at Resthaven Cemetery in Eau Claire. The family would like to thank Dr. Peter Halverson, the Heart Team and nurses at Mayo Health Systems Eau Claire. In Leiu of flowers, memorial may be made in her name to the charity of your choice. "Email Address" would like to share the life celebration of Irene Lorraine Shipman. Click on the "link" to go to share a favorite memory or leave a condolence message for the family.